Our specials are created daily based on the freshest ingredients available. Don’t let the name fool you, Red, White & Brew is a true restaurant that was designed from the ground up to offer the community a place to eat, drink and relax. The Brew prides itself on providing an exceptional dining experience that is fun and family friendly, creating a place guests can call home. From fresh seafood to authentic pasta dishes, Red, White and Brew offers an extensive catering menu that will suit any appetite! We update our food and drink specials daily, it’s another great reason to stop in and dine with Red, White and Brew today! Give the gift of great food, drinks, and a friendly atmosphere! Order Red, White & Brew gift cards here! Our unique special drinks, desserts, and entree's are put together by our house chefs each day using only the finest ingredients available to us. 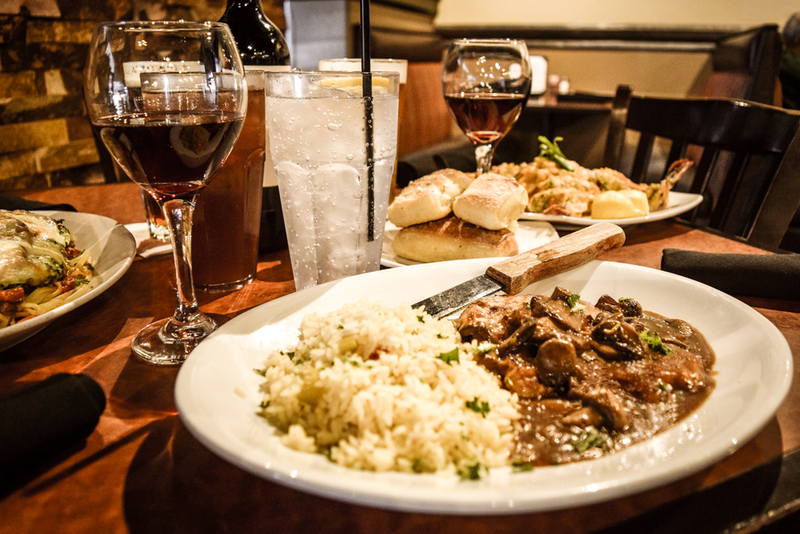 You can find a new favorite every time you dine with us at the Brew. Lunch is served Monday - Saturday from 11:00am - 4:00pm; dinner is served Monday - Saturday from 4:00 - 10:00 pm, and all day Sunday. Like what you see here? You'll love what we have on our standard lunch and dinner menus. Click the links below to view. I’ve had the pleasure of visiting a few times. My family has been here dozens of times and love. I have to agree. It’s a nice neighborhood type of place with a lot of class. Food and service have always been top notch. I love that they have a thin crust ‘deck baked’ option for their pizzas. My last visit I tried the chicken parmigiano with pasta. It was perfectly done and huge! A simple touch that I really appreciate is that the hostesses spend their limited free time wiping down the menus. They have great specials- my mom’s favorite is the crusted Walleye Pike filet. Pan seared scallops, bourbon glazed salmon and fresh, hot garlic bread makes life worth living. I’m a native New Yorker so I’ve had some quality Italian food. This place ranks up there with some of the best spots the Big Apple has to offer. *Lunch served until 4 Mon-Sat.